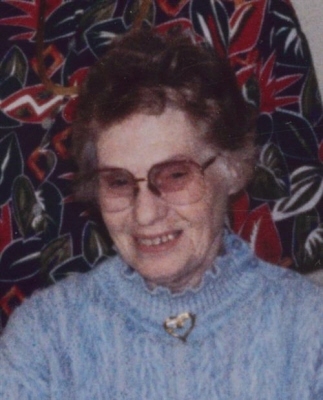 Lillie Pearl O'Dell, 89 of Russellville, Kentucky died on Friday, March 15, 2019, at Logan Memorial Hospital in Russellville, Kentucky. She was born Sunday, May 12, 1929 in Logan Co., Kentucky, the daughter of the late Estill Corum and the late Curtie Insco Corum. She was a homemaker and a member of Crittenden Drive Church of Christ. Surviving are son, Kenneth Wayne O'Dell - (Dorothy) of Lewisburg, KY, daughter, Delores Brooks -(James) of Russellville, KY; 3 grand children; 14 great grand children. A Funeral service will be at 2:00 PM on Monday at Price Funeral Home, Inc. located at 252 E. Green St. Lewisburg, Kentucky 42256 with Bro. Mike Miller officiating. Interment will be in Lewisburg Cemetery, Lewisburg, KY. The family will receive friends from 5:00 PM to 8:00 PM on Sunday, March 17, 2019, at Price Funeral Home, Inc., 252 E. Green St., Lewisburg, Kentucky. To plant a tree in memory of Lillie Pearl O'Dell, please visit our Tribute Store. "Email Address" would like to share the life celebration of Lillie Pearl O'Dell. Click on the "link" to go to share a favorite memory or leave a condolence message for the family.